Recurring Payments. 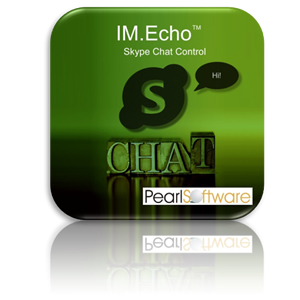 When you purchase IM.Echo Licenses, you agree that you are authorizing recurring monthly payments for one (1) year, and payments will be made to Pearl Software using your payment method at monthly intervals, until the subscription for the Licenses is terminated by you or by Pearl Software. Subscription fees are generally charged in advance of the applicable subscription period. If any payment is returned unpaid or if any credit card or similar transaction is rejected or denied, Pearl Software reserves the right to collect any applicable return item, rejection or insufficient funds fee and process any such payment as an Electronic Payment. Automatic Renewal. IM.Echo Licenses will automatically renew at the end of your annual service period. We will remind you by email before your Licenses renew for a new term, and notify you of any price changes. Once we have reminded you that you elected to automatically renew the Licenses, we may automatically renew your Licenses at the end of the current service period and charge you the then current price for the renewal term, unless you have chosen to cancel the Licenses as described below. You must cancel the licenses before the renewal date to avoid being billed for the renewal. Canceling Licenses. You may cancel Licenses at any time, with or without cause. To cancel Licenses, simply contact Pearl Software by email with your name, company name, serial number and request to cancel Licenses. You will be responsible for payment of the remainder of your service term. Refund Policy. IM.Echo is available for a 14-day free evaluation. All License purchases are final and non-refundable. If you believe that Pearl Software has charged you in error, you must contact us within 90 days of such charge. No refunds will be given for any charges more than 90 days old. We reserve the right to issue refunds or credits at our sole discretion.